There are some pretty awesome snorkeling opportunities near Punta Cana. 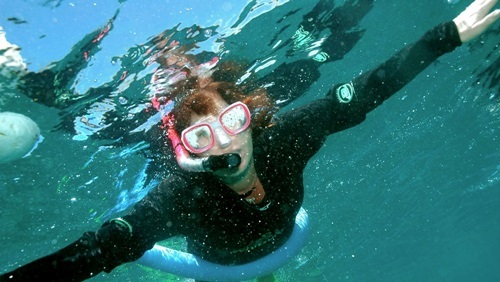 Snorkelling can be done from shore or in selected areas near the reef. The best snorkeling can be done by taking an excursion to The Aquarium (east of Club Med) and towards the reef off El Cortecito beach or to the area near the Riu Taino hotel.